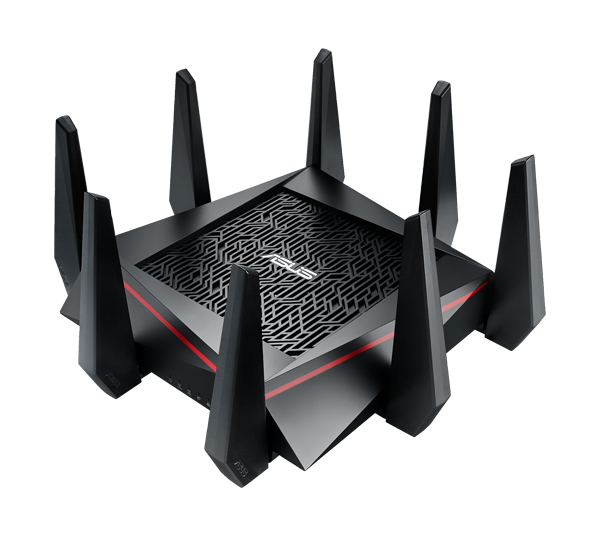 RT-AC5300 instantly takes your wireless network to the next level. The latest NitroQAM technology boosts the Wi-Fi speeds for everyone and every device on your busy network. With the widest-ever Wi-Fi coverage, tri-band Smart Connect, enterprise-level link aggregation, revolutionary 8-client MU-MIMO plus total security, RT-AC5300 is as well-rounded as it is top-of-the-line. Broadcom NitroQAMTM technology boosts two 5 GHz data rates up to 4334 Mbps and 2.4 GHzup to 1000 Mbps.